Amazon reported $857 million in income in the second quarter of 2016. That huge number — from only three months — shows just how insanely popular the online retail giant is. If you’re bankless and without a prepaid debit card or gift card, though, enjoying the convenience of online shopping can be nearly impossible. But Amazon just introduced a feature to overcome this issue and make online shopping less of a headache for those without credit or debit cards. 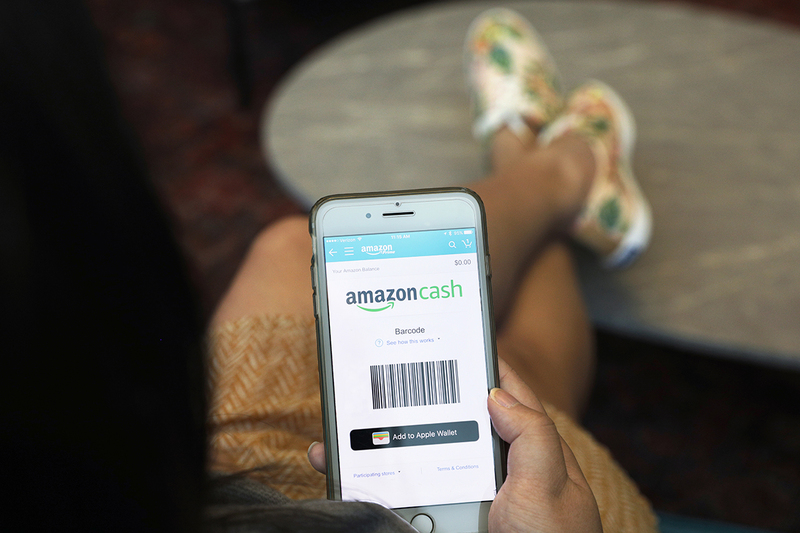 On April 3, the online retail giant launched Amazon Cash, an alternative payment method. This concept is meant to bridge the gap between consumers without credit or debit cards, or access to e-commerce. The best part? There are no fees. If you wish to use the service, Amazon will send you a unique bar code linked to your account via text message. Don’t have a smartphone? No problem — there’s also the option to print it. To load cash into your account, simply take the bar code to a participating retailer, and have the cashier scan it. You can load $15 to $500 in a single transaction. Participating retailers include CVS, Speedway, Sheetz, Kum & Go, D&W Fresh Market, Family Fare Supermarkets and VG’s Grocery — and Amazon promises to add more retailers to the program soon. Need a reason to try out this service now? Through May 31, 2017, loading your first $50 in Amazon Cash will get you a $10 digital credit. Keep in mind this credit expires June 30, 2017. Those who use this program should be aware that Amazon treats these funds the same way it treats gift cards — meaning Amazon Cash transactions are nonrefundable, except as required by law. Now, pretty much anyone can purchase items from Amazon, which can be dangerous! Check out our tips on how to save money while clicking away on the online commerce giant. Your Turn: Will you use Amazon Cash?